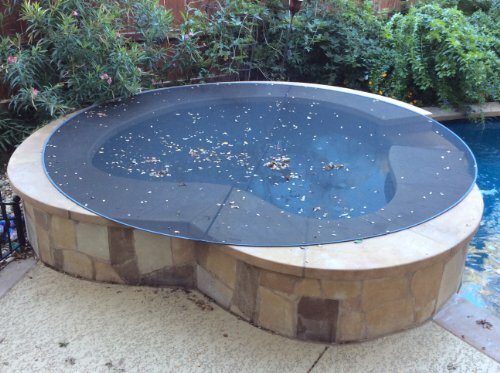 Hot tub cover that is made from high strength micro mesh that keeps dirt and leaves out of your hot tub. Easy to fold and store. Comes with a storage case. More time in the hot tub and less time cleaning it. EZ to use, EZ to Fold… it’s the EZ Leaf Cover! Save time and stay happy.